Preventing stress fractures requires knowledge of the risk factors that predispose to this injury. The aetiology of stress fractures is multifactorial, but methodological limitations and expediency often lead to research study designs that evaluate individual risk factors. Intrinsic risk factors include mechanical factors such as bone density, skeletal alignment and body size and composition, physiological factors such as bone turnover rate, flexibility, and muscular strength and endurance, as well as hormonal and nutritional factors. Extrinsic risk factors include mechanical factors such as surface, footwear and external loading as well as physical training parameters. Psychological traits may also play a role in increasing stress fracture risk. Equally important to these types of analyses of individual risk factors is the integration of information to produce a composite picture of risk. The purpose of this paper is to critically appraise the existing literature by evaluating study design and quality, in order to provide a current synopsis of the known scientific information related to stress fracture risk factors. The literature is not fully complete with well conducted studies on this topic, but a great deal of information has accumulated over the past 20 years. Although stress fractures result from repeated loading, the exact contribution of training factors (volume, intensity, surface) has not been clearly established. 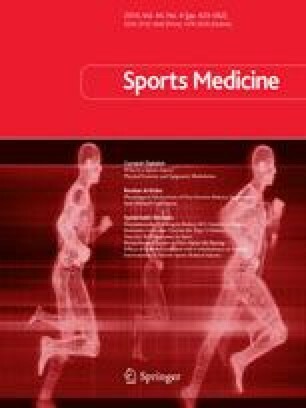 From what we do know, menstrual disturbances, caloric restriction, lower bone density, muscle weakness and leg length differences are risk factors for stress fracture.Other time-honoured risk factors such as lower extremity alignment have not been shown to be causative even though anecdotal evidence indicates they are likely to play an important role in stress fracture pathogenesis.